The University of North Dakota Women’s Soccer Elite ID Camp is a 3-day event from July 7 until July 9. This elite soccer identification camp is open to both residential and commuter campers. It is inviting all high school girls who have the skills and desire to play at the college level to join. In addition, this camp will enhance the attendees’ technical and tactical capabilities. Likewise, it will also improve their decision making and approach to the game. This event will take place at the university’s Soccer Field, Memorial Stadium, and the High Performance Center. The sessions will be run by the university’s women’s soccer coaching staff. The University of North Dakota is public, coeducational, flagship, space-grant, research university in Grand Forks, North Dakota. It is an affiliation of the North Dakota University System. It is also North Dakota’s oldest university. The University of North Dakota is offering more than 200 academic programs. Currently, it is serving around 11,300 undergraduate students. This student population is with a 57 percent male and 43 percent female students gender distribution. The student to faculty ratio in the institution is 21:1. Additionally, the University of North Dakota is one of the nation’s top-tier academic institution. It is 192nd in National Universities, 2018 edition of Best College rankings. It is also 25th in the Most Innovative Schools rankings. Moreover, the University of North Dakota fields 17 intercollegiate sports teams in the Big Sky Conference of NCAA Division I. The athletes’ nickname is Fighting Hawks and their identity colors are green and white. The University of North Dakota women’s soccer head coach is Chris Logan, a Stoke-on-Trent, England native. He is in charge of the Fighting Hawks women’s soccer since December of 2016. Coach Logan has a master’s degree in English and literature from Slippery Rock. Then, the Fighting Hawks women’s soccer new assistant coaches are Chris Citowicki and Danielle Mendez. Sean Fantuzzi is the team’s strength and conditioning coach. And finally, Alicia Champagne is the team’s athletic trainer. 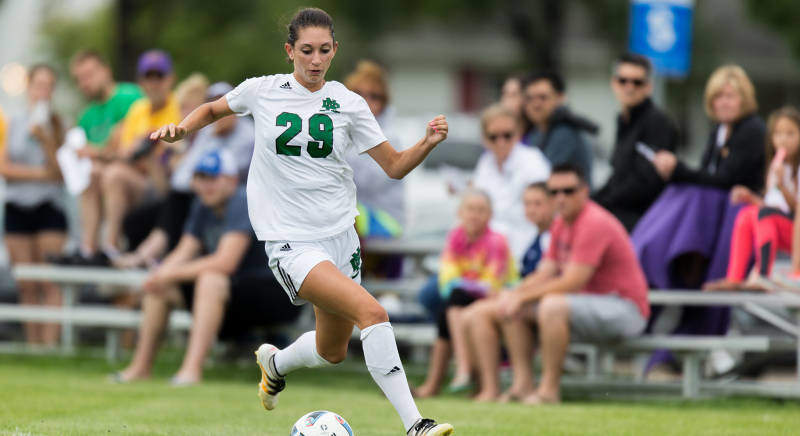 The University of North Dakota Women's Soccer Elite ID Camp is a 3-day event from July 7 until July 9 open to both residential and commuter campers.